Last night my friend Rachel posted pictures of her blizzard banana chocolate chip muffins that, sadly, were not vegan. I woke up and just had to make my vegan version! Luckily, I had ripe bananas and so I whipped up my Grandma Joan’s banana bread with the addition of chocolate chips. Preheat oven to 350. Line muffin tins with liners. Prepare the flax eggs by whisking the flax and water. Let it stand for a few minutes to get really thick. Mash the bananas really well. Combine all of the ingredients in a big bowl and bring together into a dough. 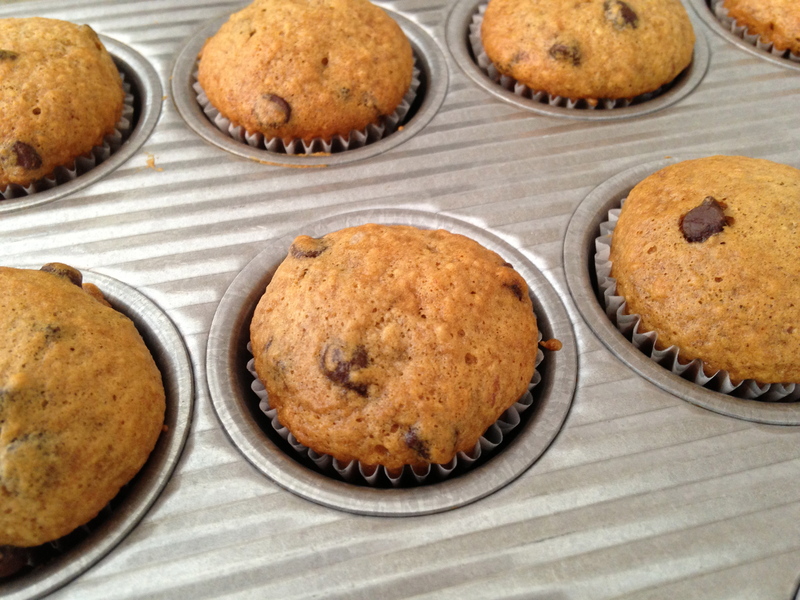 Use a small ice cream scooper to scoop the batter into the muffin tins. Bake for 25 to 30 minutes until a toothpick comes out clean. Let them cool. Enjoy!